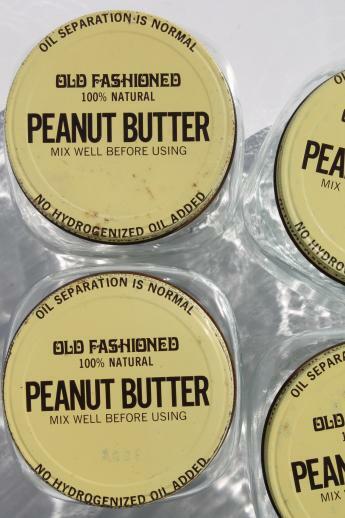 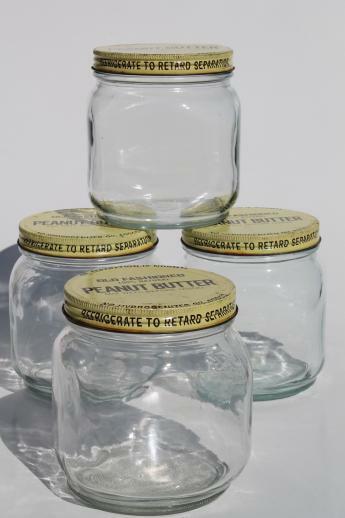 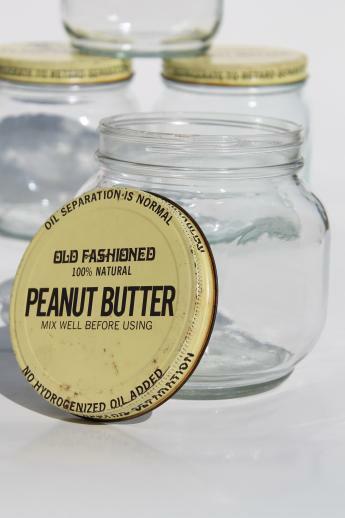 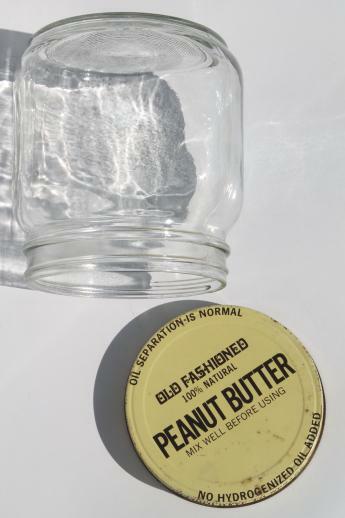 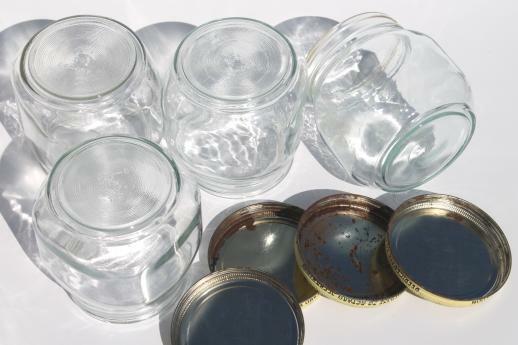 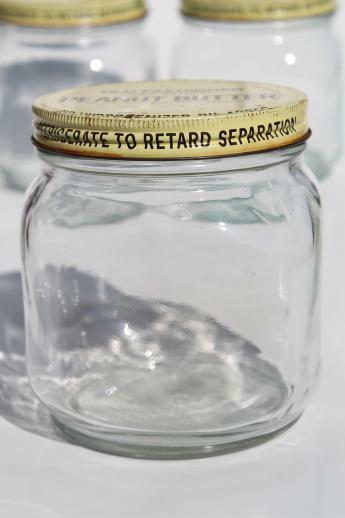 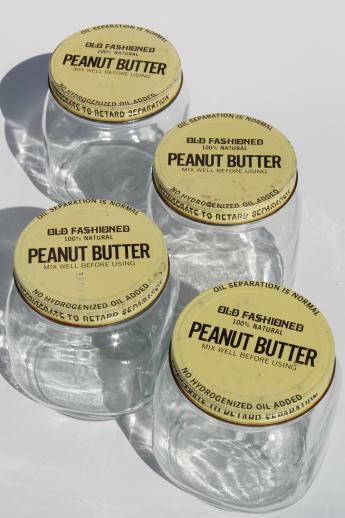 Lot of four large glass peanut butter jars with metal screw type lids - these make great pantry jars for open shelving or hoosier jars for a vintage kitchen cupboard or hoosier cabinet. 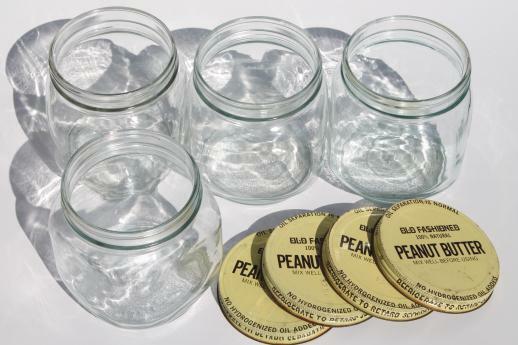 The jars measure 5" x 5" x 5 1/2", and are all in very good condition. 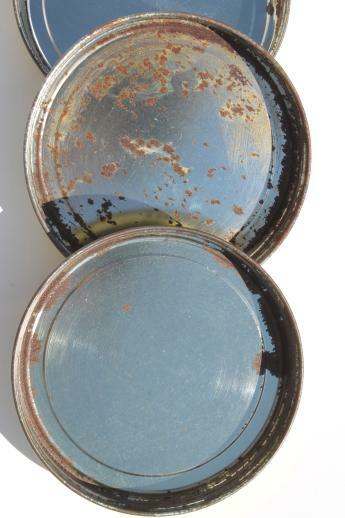 The metal lids have some rust spotting, you'll want to give them a cleaning and maybe a rub down with steel wool.